The Valhalla Station has donated over 200,000 trees to indigenous communities. These trees go to replant destroyed forests and serve as remarkably efficient carbon sinks. The Macadamia nut contains a wealth of important nutrients and is an edible alternative to coffee beans. Poor farmers have a food source if their crops do not sell or prices drop. Macadamia Nut farming does not exhaust the soils and required moving to other locations or bringing in huge amounts of fertilizer. 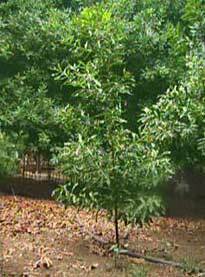 1) Global reforestation of open genetic macadamia nut trees. 2) Marketing and sales of natural foods and cosmetics. 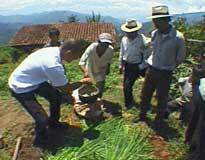 3) Promotion of sustainable agriculture for farmers worldwide. 4) Job creation through local production and processing. 5) Green investment opportunities in eco-entrepreneurship. Global warming and global climate change are destroying the planet. We are dedicated to the preservation and healing of the planet through sustainable agriculture and the education of indigenous people. For over twenty years we have been planting and maintaining Macadamia trees, preserving the rainforest and promoting sustainable agriculture. Our forests are being destroyed at a rate of approximately a football field every 2 seconds. It is imperative to stop and reverse this process to ensure the survival of ourselves, our children and our grandchildren. We are focused on the Valhalla Project to continue our effort to educate, promote sustainable agriculture and plant trees now! Environmental Honor Roll - Valhalla recognition page for people who have donated to the project.